We're pleased to announce that DisplayFusion 3.4.1 is now available for download! This version consists mainly of bug fixes, but also adds a couple of minor new features. 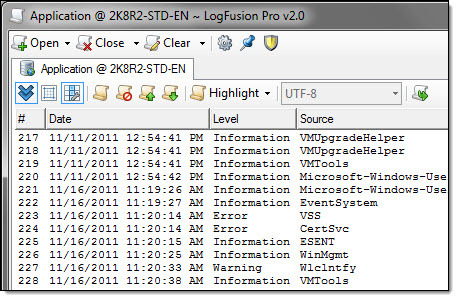 We're very happy to announce that LogFusion 2.0 is now available for download! DisplayFusion 3.4 is now available for download! 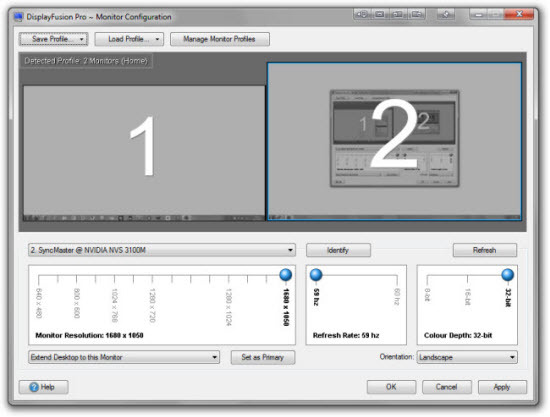 In this version is a brand new feature, Monitor Configuration, which allows you to configure display settings such as screen resolution, orientation, refresh rate, colour depth, and layout. 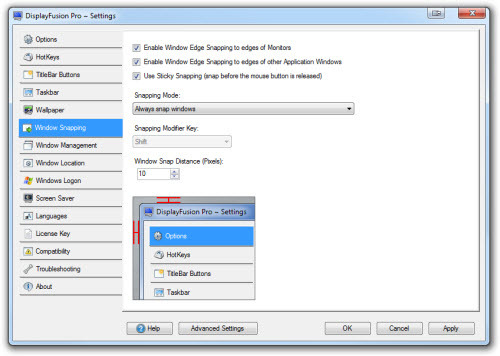 In addition, Monitor Profiles allow you to save specific configurations so that they can be easily loaded at another time via HotKeys, TitleBar Buttons, or the main context menu. 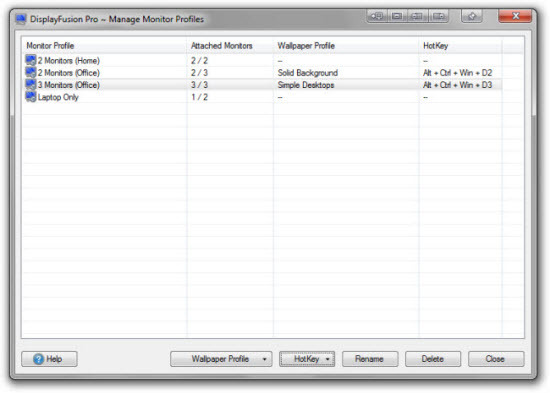 You can even assign Wallpaper Profiles to Monitor Profiles so that when a previously saved Monitor Profile is loaded, DisplayFusion will automatically load the associated Wallpaper Profile. New HotKeys and TitleBar Buttons: "Send Window to Back" and "Move All Windows to Current Monitor"
Monitor ID's are now detected correctly to match the Windows 7 display settings. 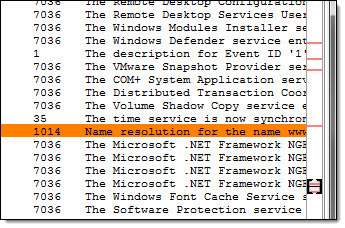 Note that this may cause some Taskbars to lose their settings. Click here for more info and instructions on how to recover the settings. Tons of bug fixes and miscellaneous improvements! Over the next few weeks we'll be rolling out updates to the Support Forums for all Binary Fortress product pages. 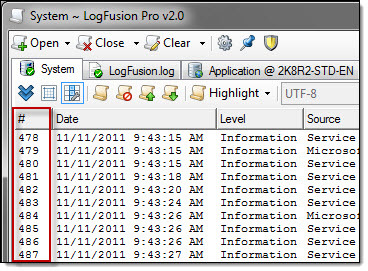 The FileSeek and LogFusion pages have already been updated! We'll be updating each product page individually, with DisplayFusion being the last one to get the update. If you have any questions, concerns, or feedback, please don't hesitate to Contact Us. 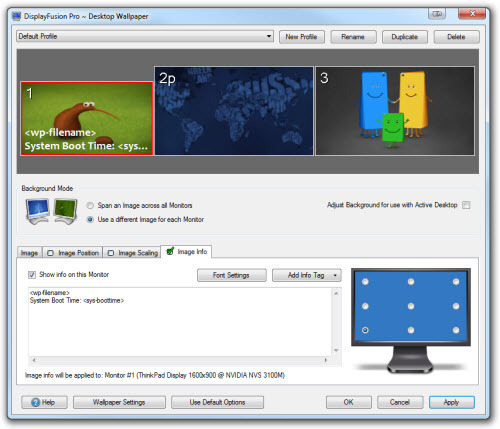 We're very pleased to announce the release of DisplayFusion 3.3.1! This version includes a bunch of bug fixes and new features, as well as huge improvements to the Multi-Monitor Taskbar and Window Snapping features. We encourage everyone to update to this new version today to take advantage of these improvements. If you would like to see a complete list of all the changes, please visit the DisplayFusion Change Log. We'd like to send out a big thanks to the dozens of people who helped with the DisplayFusion translations, and the thousands of people that helped test the Beta versions. Thanks everyone! We're currently in the process of finishing up development on DisplayFusion 3.3.1, but there are a few translations that still need to be completed. We're offering up a free DisplayFusion Pro license for anyone who can help complete the translations for the languages listed below, and we'll also list your name in the credits on the DisplayFusion Languages page. If you'd like to help us out, please contact us at support@displayfusion.com and we'll be glad to get you setup as a translator for DisplayFusion! Please join me in welcoming our newest team member, Keith Lammers! Keith is our first full time support/testing/everything else person, and he's coming on board at a busy time. We have tons of new things planned, including some big surprises, and Keith will be an important part of making these things happen. 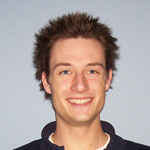 Keith brings with him years of IT support experience, including hardware support and software testing. He's a top-notch, well-rounded guy and I couldn't be happier to have him join the team. If you see Keith in the forums, make sure you say hi and help me welcome him to the team! Welcome to the team, Keith! Firefox 4 is out today! Hurray! Looking for a version of DisplayFusion that works perfectly with Firefox 4? 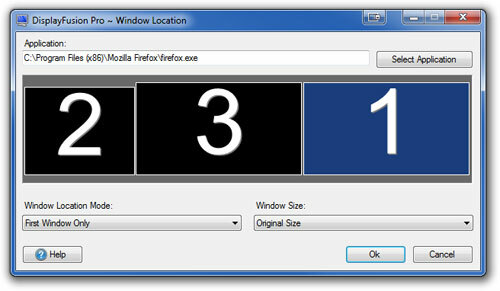 Make sure you download the latest beta (Beta 3) to take advantage of it's improved Firefox 4 compatibility. You can find the new beta version on the DisplayFusion Beta Download page. Thanks everyone, and enjoy the new Firefox! DisplayFusion 3.3 is here! This new version is jam-packed with new features, and tons of bug fixes. 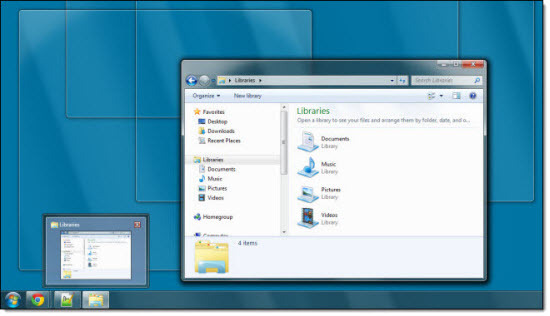 The DisplayFusion Taskbars have been overhauled, and have a bunch of new features. You can now group the taskbar buttons, or align the buttons to the left/right side of the taskbar. 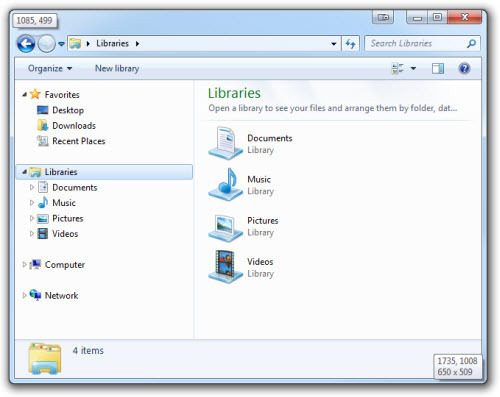 Windows 7-style thumbnail previews have been added, and you can now add application shortcuts to each taskbar. All of these taskbar settings can be configured independently for each taskbar, so you can customize your desktop to suit your needs. Taskbar Improvements: Buttons can be aligned, shortcuts can be added (applications, files, folders and websites), Windows 7-style thumbnail previews, button grouping and more! I would encourage everyone to update to this new version today to take advantage of these improvements. If you would like to see a complete list of all the changes, please visit the DisplayFusion Change Log. I'd like to send out a big thanks to the dozens of people who helped with the DisplayFusion translations, and the thousands of people that helped test the Beta versions. Thanks everyone!